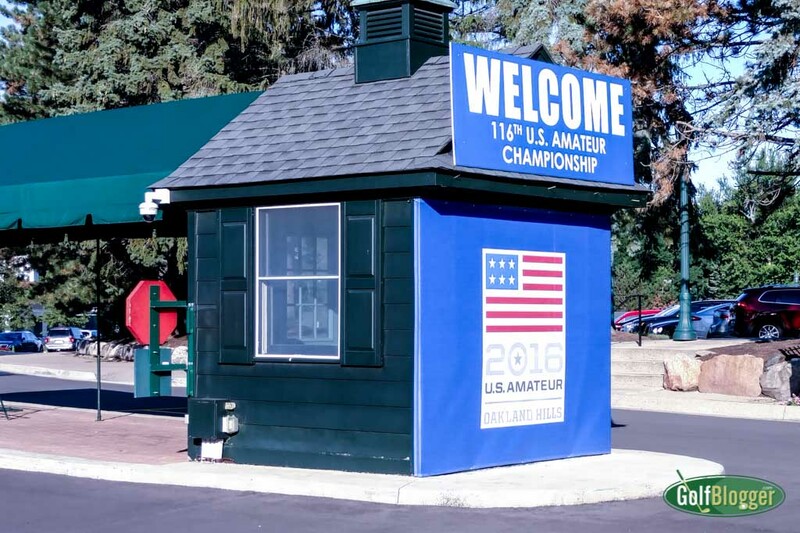 The USGA uses a combined scoring format to crown each year’s US Amateur Champion. For the first two days, the more than 300 players in the field compete in the familiar stroke play format. After that, the low 64 players (ties resolved in a playoff) begin a series of match play events. For casual golf fans, Match Play can be a confusing affair. With such as All Square, Halve, and Dormie, 1-UP, 5 and 4, the scoring system might as well be from a foreign language. In Match play, golfers are pitted directly against each other. A player is not concerned with the entire field—only with beating the opposing golfer. In match play, each hole is scored individually, and as a discrete event. A player wins a match by winning the most holes over the course of a round. A hole is won by the player who completed the hole in the fewest strokes. The total number of strokes in the round matters not at all. Suppose that on the par five first hole, Jordan Spieth gets the ball into the hole in four strokes. Rory McIlroy, on the other hand, scores a par. Spieth wins the hole, and goes 1-Up. On the par four second, Spieth gets a par, and McIlroy, a birdie. The match is now All-Square through two. If Spieth had taken one less stroke than McIlroy, he would have added to his lead and would be 2-Up. Because each hole is played as a separate event, it is possible for one player to get so far ahead in a match that the other has no chance to win. For example, if Spieth and McIlroy finish the 16th hole, and Spieth is 3-Up, there is no need to continue. The best McIlroy could do is to win the 17th and 18th, and he still would lose by one hole. So the match ends right there. The score would be reported as: Spieth wins, 3 and 2. That means that Spieth won because he was up by three holes, with only two holes to play. If a player wins 1-up, that means that the match has gone to 18 holes. The last hole was played either because the match was all square after 17, or because a player was only 1 up, and the other player could have made the match All Square on the final hole. If the match is All Square the two competitors play until the tie is broken. The term “Dormie” is used to describe a situation where one player is up by the exact number of holes left in the match. The best the opponent can do is to tie. So, if Spieth and McIlroy were on the 16th tee, and Spieth was 3-Up, the match is Dormie. The best McIlroy can do is to win the final three holes (16, 17 and 18) and make things All Square. One seemingly strange score is when a player wins 5 and 3. On the surface, it looks as though the match should have ended with four holes to play, because one player was up by five. But what actually happened was that the match was Dormie with four to go. That is, Spieth was 4-Up on the 15th tee (four holes to go). If Spieth wins the 15th, the match is over, and Spieth wins by five, with three to go, or 5 and 3. Another interesting aspect of Match Play is that the players do not have finish every hole. Consider the following situation: McIlroy hits a hole-in-one on a par three. Spieth hits the green within inches of the cup, but the ball does not go in. At this point, there is no need for Spieth to finish the hole, and he will concede to McIlroy. Even if Spieth finishes with a birdie, he still has lost the hole. And there is no need to see if Spieth can make the putt because unlike Stroke Play, the score does not carry over to the next hole. Similarly, players often will “concede” a stroke. This usually happens on a short putt. McIlroy knows that Spieth is going to make the tap-in, so he grants the “gimmie.” The real question for that hole is whether McIlroy can make 12 footer to win the hole, or if he two putts for a halve. Players need to be sure that a ball is conceded before picking it up, though. In a President’s Cup competition a few years back, Davis Love picked up a ball, thinking that Mike Weir had conceded. Weir had not, so normally a one stoke penalty would be assessed. However, because Love honestly thought he had heard Weir concede (Weir did say something that could have been reasonably misheard), there was no penalty. There are also a couple of other major rules differences in Match Play. For example, in Stoke Play, if you play out of order, it is just a breach of etiquette. But in Match Play, your opponent can force you to replay the shot. Other major changes generally have to do with the penalty for breach of rules. In Stroke play, most of the penalties involve the addition of strokes. In Match Play, the rules violations generally involve the automatic loss of the hole. Match play is very exciting golf. But one of the reasons that you don’t see it a lot on television is that it is unpredictable. Individual matches can end quite suddenly, because you don’t have to play all the holes to determine a winner. For that matter, you don’t even have to finish every hole. A network could schedule three hours for a match, only to have one player win the first ten holes. The match would be over, and the network still would have an hour of programming to fill.